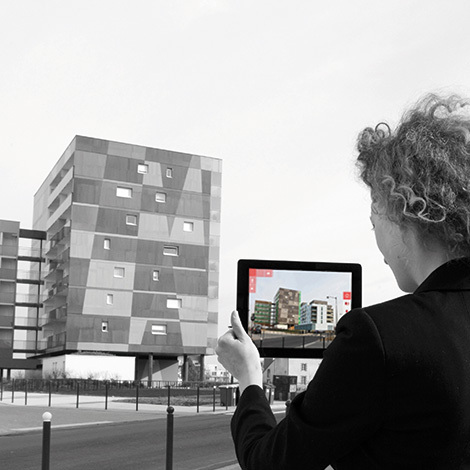 With augmented reality, you’ll be able to present your project (a 3-dimensional object, a building) in its real environment as if it really existed. 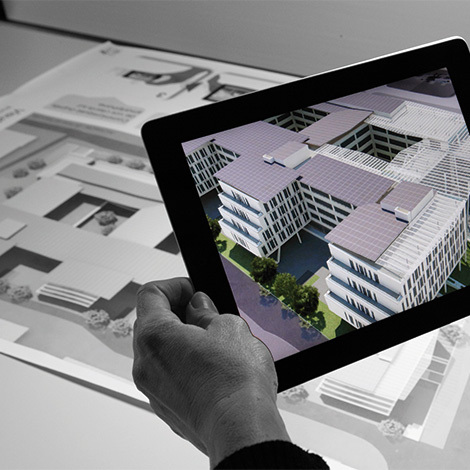 Install our applications on your tablet or smartphone and you will be able to explore your project from all angles, evaluate its integration into its natural landscape, view shadows, make landscaping decision and make your project evolve step by step… On-site augmented reality is a great tool for design and communication. Artefacto controls both the quality of the 3D model and the technology to embed it in a real environment, even outdoors, in the absence of anchor marker (or trigger image). You no longer need a physical model, augmented reality allows you to insert a virtual object in the real world, in real time. Proportions, colors, shadows, everything is there! The model appears just on the support (a mass plan, a photo, a magazine …) recognized by the application.